As you may know, these occasional “Dear Reader” posts use a graphic with the morning newspaper. 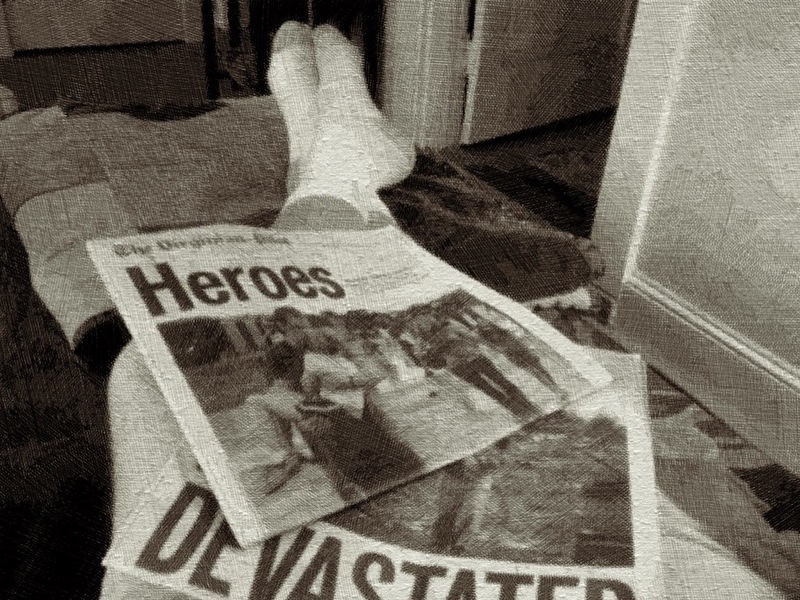 Yesterday’s headline was “DEVASTATED.” Today’s is “Heroes.” I have been thinking about these words this morning…their formatting and placement…their meanings. Which of these words will guide me when meeting today’s many challenges?